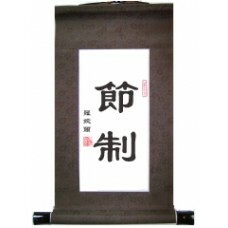 This Chinese calligraphy scroll features the symbols for modesty. This is the greatest virtue i.. This Chinese calligraphy scroll features the symbols for obedience. This important virtue is al.. 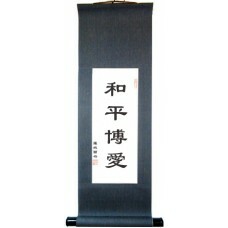 This Chinese calligraphy scroll features the symbols for passionate. This scroll is an excellen.. This Chinese calligraphy scroll features the symbols for peace. This important virtue is also a.. 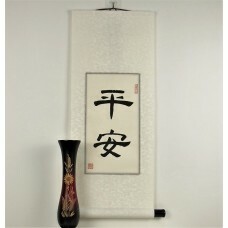 This Chinese calligraphy scroll features the symbols for peace and love. These important virtue.. This Chinese calligraphy scroll features the symbols for perseverance. This important virtue is.. This Chinese calligraphy scroll features the symbols for politeness. This important virtue is a.. This Chinese calligraphy scroll features the symbols for prayer. This important virtue is also .. This Chinese calligraphy scroll features the symbols for prudence. This important virtue is als.. This Chinese calligraphy scroll features the symbols for purity. This important virtue is also .. This Chinese calligraphy scroll features the symbols for respect. This important virtue is also.. This Chinese calligraphy scroll features the symbols for righteousness. This important virtue i.. This Chinese calligraphy scroll features the symbols for self control. This important virtue is.. This Chinese calligraphy scroll features the symbols for self discipline. This important virtue.. This Chinese calligraphy scroll features the symbols for selflessness. This important virtue is..